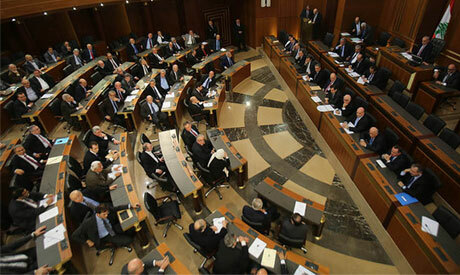 Is the political situation in Lebanon 'mature' enough for a president to be elected amid Syria-influenced domestic tensions? Parliament Speaker Nabih Berri warned on Friday that political conditions were "not mature enough" for the election of a president, according to Lebanon’s Al-Safir newspaper. One hour earlier, he accused Shia Hezbollah on Twitter of "pressing hard to be granted similar powers in security and foreign policy matters that Syria exercised in Lebanon for 15 years." Andrew Tabler, a senior fellow at the Washington Institute for Near East Policy, argued that the head of the Future movement, Saad Hariri, is not going to give Hezbollah the "presidency easily," given his rejection to the latter’s backing of the Syrian regime of Bashar Al-Assad in the ongoing war. Meanwhile, head of Hezbollah’s parliamentary bloc Mohamed Raad rejected on Saturday Geagea’s candidacy, claiming that he "would delay holding the presidential election on time and cause trouble in the politically divided country." According to the Daily Star newspaper, Raad said that Hezbollah wants a candidate who will "safeguard and defend the resistance option and is keen on the unity of the Lebanese." Even Michel Aoun, a former military commander, claimed that the Lebanese people have "vivid memories" against Geagea and "have demonstrated a great deal of aggravation" against him, the Lebanese National News Agency reported. After serving 11 years in prison for crimes committed during the country's civil war, which ended in 1990, the leader of the Lebanese militia was granted amnesty by parliament in 2005. In an interview with Al-Arabiya last month, Geagea said that he was the "natural candidate" for the presidency, being the head of the "most popular party among Christians, according to statistics." He added that he was waiting for the "most opportune moment" to announce his candidacy. He has always said he would push for the withdrawal of Hezbollah troops from war-torn Syria if elected president. "Hezbollah is fighting [in Syria] in order to protect its position and that of Iran in the region, not to protect the Shias," he said, claiming that Hezbollah's sustained intervention in Syria will lead to the destruction of Lebanon. Randa Slim, an expert on Lebanese affairs, said that "it is impossible" for Geagea to gain the support of 8 March, particularly Hezbollah, given the history between him and the Israelis during the civil war. "We are not near that stage. Especially after the war of terror waged by Sunni extremist groups operating in Syria targeting Shia-majority communities in Lebanon, the majority of Lebanon's Shia support Hezbollah's military intervention in Syria. Whether or not this will remain the case will depend on how long this intervention will last," Slim noted. Sadly, in Egypt it's even harder to elect a president because politics in Egypt is a far cry from mature. That's why Egypt had only one elected president in its entire history who was overthrown by a military. Egypt is back to selection not election. Why talk about Lebanon when your house is in a mess?